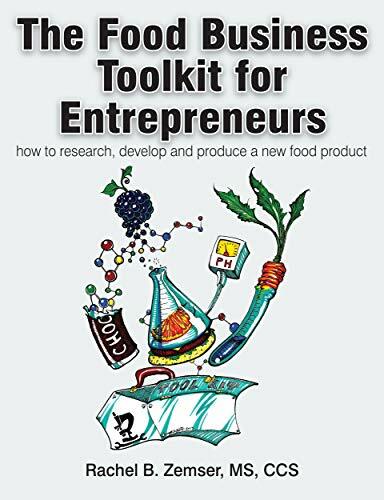 [PDF] The Food Business ToolKit For Entrepreneurs-How To Research, Develop and Produce A New Food Product | Free eBooks Download - EBOOKEE! Description: This book has been designed to help newcomers navigate the food industry, including its technical and regulatory intricacies, as you try to bring products from concept to commercialization. Some of the details, such as FDA and USDA regulations, already exist online, but most of them are confusing and difficult to locate. I have compiled the most pertinent information in the form of easy-to-understand instructions and explanations. To commercialize a food concept, you actually have to understand the categories that your product falls within, as well as the rules and regulations that will apply to your product. I aim to teach you the basics. No comments for "[PDF] The Food Business ToolKit For Entrepreneurs-How To Research, Develop and Produce A New Food Product".